Fundamental reproductive science and laboratory methods which enhance the practical skills that are taught along with applied and clinical aspects. The department places significant emphasis on the acquisition of practical laboratory skills. The particular strength of the course is that the participant will be trained individually on micromanipulations and laser biopsy equipment using training beads, different oocytes, human sperm and too many human oocytes when available. A variety of teaching methods are used to enhance and optimize student learning. Some of the methods include class lectures, group tutorials, laboratory practical classes, self-directed learning and problem based learning. The course provides a one-on-one comprehensive training and is devoted to those candidates who wish to develop knowledge and skills in micromanipulation instrument handling and operation. This training will aid them in performing ICSI confidently with smooth transition. 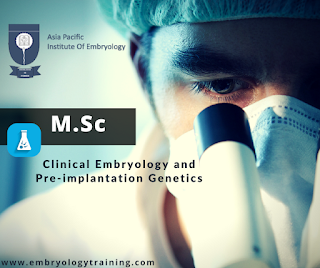 Asia Pacific Institute of Embryology (ASPIER) offers post graduate course in embryology and also other courses regarding ICSI with dedicated state-of-the-art teaching and research facilities. The department’s main aim is to inspire, motivate and train future leaders in clinical embryology throughout the world.